To speak of a Naga is also to tell the story of their history. It’s hard to separate the two, especially in the context of a modern and independent India. As a British colony, the Nagas became part of independent India despite their resistance. The Indian army forced its way into the Naga regions to stake its claim and quiet the dissenters. The consequence of this was not limited to loss of lives but much more. The Naga way of life began to change, the question of identity as Nagas within the larger India loomed over everyone, and the once green forests began to rapidly fall prey to timber thieves. Nagaland is an Indian state in the northeast corner, bordering Myanmar. It comprises several tribes who were brought together as one state during the 1962-63 States Reorganisation Act. The Nagas have a strong affiliation with their individual tribes and a blanket identity as just not acceptable to them. So of course, they resisted. But this was not the beginning of the problem. The bone of contention was that India assumed Nagaland into its fold when the British left. A treaty drawn before Indian independence allowed the Nagas to be governed under Assam but with considerable autonomy. The agreement made for a period of ten years and subject to renewal, was dismissed by Jawaharlal Nehru, India’s first Prime Minister. He ignored too, the Naga unfurling of their flag on 14th August 1947, separating their position from India. The Nagas, who had fought the Japanese in the Second World War, and earlier, the British, now prepared to face India. The assault of the Indian army on the Nagas is a story is one of enormous tragedy. Lives were lost on both sides – an estimated 200,000 Nagas and countless soldiers and it certainly didn’t help bridge the divide. The Indian army’s onslaught continued for over two decades during which time Angami Zapu Phizo spearheaded the Naga independence movement, under his Nagaland National Council. When the Indian government set a price on his head, Phizo escaped to the UK where he lived from 1956 until his death in 1990. “War was a natural state to them (the Nagas). The Pax Britannica was but an interlude,” writes Ursula Graham Bower, a pioneering anthropologist in the Naga hills, and who lived there between 1936 and 47. Perhaps it is this state that has led to the inter-tribe wars, leaving them with a shaky base, one that was exploited by India, and before her, the British and the Japanese. The bigger enemy it seemed was within and not external. My first visit to Nagaland was through Calcutta and Dimapur; I managed to enter Kohima with out the inner line permit. It was like a big village trying to be a town; it had a water problem, garbage problem and all the ills that plague India’s hill stations. A few years later, I visited Khonoma again, one of the most beautiful places on earth. It’s hard to imagine that this is the site of much bloodshed but Khonoma has played a significant role in Naga history. Both of these trips were to meet Niketu Iralu, the man who is trying to rewrite the destiny of Nagas by working towards peace and reconciliation amongst them. Iralu is the nephew of Zapu Phizo, and the mantle of leader has been a reluctant inheritance. But unlike Phizo, Iralu has resolute­ly chosen the path of reason and dialogue. That has brought about a major change among the Nagas. 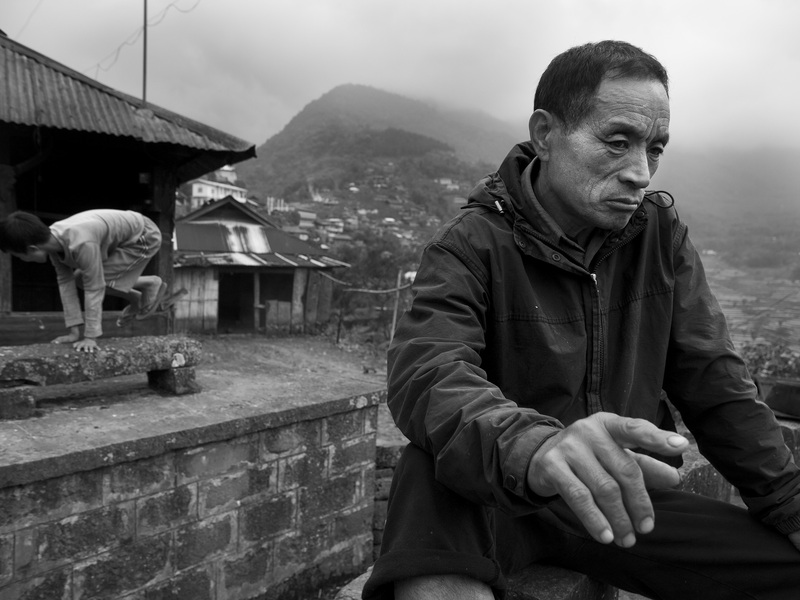 We sat down to chat at his home in Sechu-Zubsa, 15 km south of Kohima. By 4 pm on the Indian Standard Time, it was already dark outside. Sechu Zubsa, all of Nagaland and even its neighbouring states are clearly a time zone away but that’s only one of many things India has failed to acknowledge of Naga­land. Niketu Iralu is one of 13 children born to Dr Sevilie and Vituno Iralu. After completing his school­ing in Nagaland and Shillong, he decided to pursue his education at Madras Christian College. Iralu also found himself deeply influenced by Mahatma Gandhi and Aldous Huxley. More importantly, he came across the Moral Rearmament movement (MRA), later called Initiatives of Change who work in areas of conflict resolution. Iralu joined the movement and over the next four decades worked across the globe. 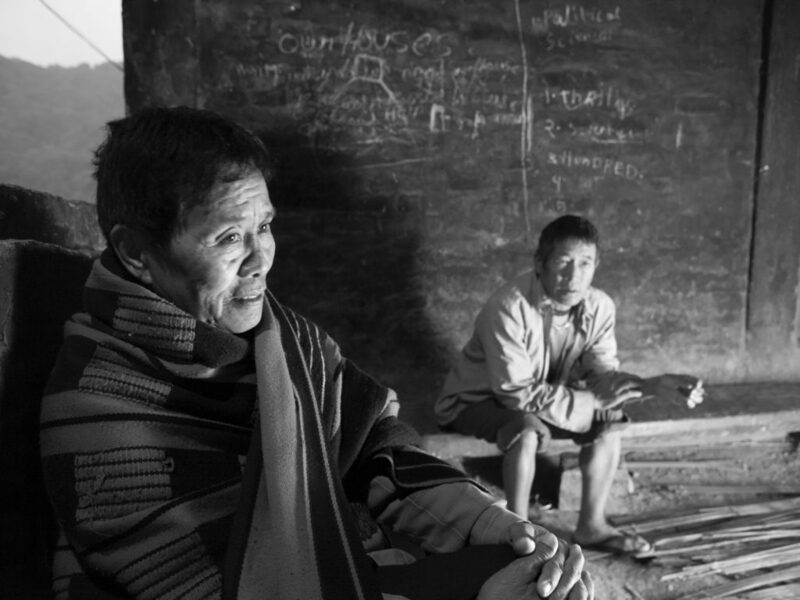 When Iralu chose to spend more time at his home in Nagaland, he found an enormous problem in drugs. As many as 15 of his own nephews and nieces were addicted to alcohol or drugs and four had suc­cumbed to it. He began to work actively to address the problem in his family and also in the community. 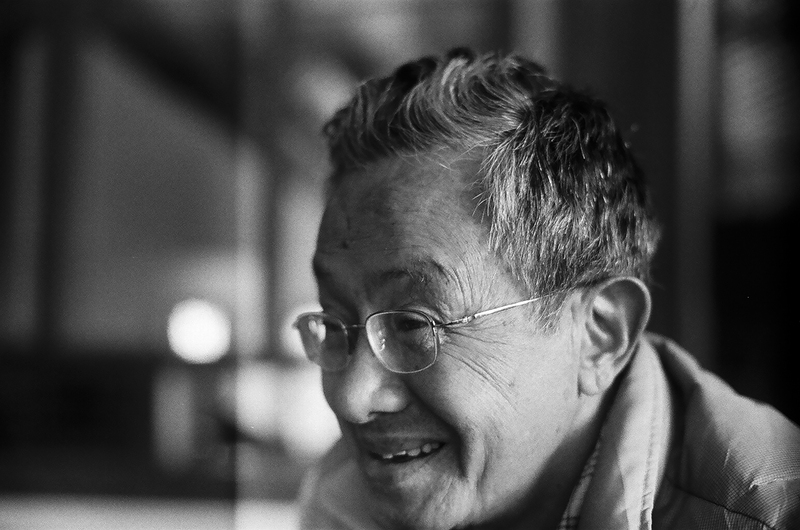 Iralu’s days were spent between Nagaland and Bombay or Panchgani or wherever else his work took him. Soon, he decided to step away from the MRA and return to his home in the Northeast. Along with his Australian wife Christine and their two sons, he set up base in Shillong in 1995, almost 40 years after leaving Chennai to work for the MRA. In the 60s following the murder of T Sakhrie, a member of the Naga National Council, clan wars had erupted in the region. Over the next two decades, 22 clan members including Sakhrie lost their lives in revenge killings. Iralu decided to intervene. He and the Khonoma Public Commission began a process of reconciliation among the members of the clan. Their tool was honest dialogue, something new and never at­tempted before. And what was honest dialogue? In Khonoma, members of the clan gathered on a selected day. There were those who felt they were victims and those who felt revenge must be taken. Much of the morning was spent in silent introspection. This was followed by the process of dialogue – from among the victims and the victimiser, members of the clan rose to speak one by one. Thoughts and feelings were expressed and no one was allowed to interrupt a speaker. Back and forth, the dialogue continued until a member of the victimiser’s family rose to ask for forgiveness and the victim’s family forgave them. It was a powerful moment in Naga history when forgiveness was given. Peace suddenly became a possible reality. The consequences of this newfound peace were far reaching. There was yet another lurking issue. The pristine Naga hills were falling prey to deforestation. Naga youth who were already floundering under drug and alcohol abuse were paid by sawmill owners from the plains to cut down the trees for their timber. Rampant logging was taking place. Even as Iralu’s reconciliation talks progressed the villagers began to assume responsibility for themselves and theirs. More than two thirds of the forests are now under the management of the villagers. In the decades that have followed Niketu Iralu has held on to his belief in honest dialogue and using it to resolve conflicts and effect change. In the past the Naga hills echoed a mother’s lament, “Who will break this chain of hate?” Honest dialogue and listening to others perhaps can.. and stop war. Within my society, clan wars have been very deep rooted and dialogue has not been easy. We are a small community and clanism has been stronger than nationalism, stronger even more than tribal­ism. Despite our nationalist slogans, we function at the level of the clan, and this is a consequence of our insecurity perhaps at being a small community. The Naga struggle for independence from India is as old as the story of Indian indepen­dence. But it suffered a huge wound when the Secretary General of the Naga National Council, T Sakhrie, was killed in 1956. My uncle Zapu Phizo was the main accused. It was a bit extreme since he had neither killed Sakhrie nor issued the order. But he was the top leader of the Naga struggle. Sakhrie had proposed that the Nagas counter the Indian army by going to the people of India rather than fight the army, and Phizo had angrily condemned it, calling Sakhrie a traitor. And it was Phizo’s men – Naga jawans we called them – who took Sakhrie away to the jungle and who killed him. Although Phizo refused to take responsibility for the killing, his side insisted that his condemnation had led to the killing and hence he was morally responsible. Sakhrie’s killing was followed by revenge and counter revenge. Over the next two decades, 21 clan members were killed; my brother-in-law and his brother, who was Chief Minister of Manipur, were among them. I visited Nagaland often to do something about the situation and found myself drawn rapidly into the deteriorating crisis. On one visit I found myself at a heart of a huge debate. All the Naga tribes had agreed to meet on a common platform. Over a 1000 representatives of about 50 tribes from inside India and northwest Burma had gathered there. Two of us were invited to speak to represent Nagas. My friends said they were not coming. My family and my tribesman asked me to lie low. I said to myself I had to think of the President of the tribe who was chairing the session. I had to think of my answer to him. I went to bed praying to God that tomorrow morning you tell me what I should say and I will follow you. When I woke up and prayed the next morning, the thought came to me – You must respect this President. Prepare your speech and tell him you are going. And he will decide in the light of the situation whether I would speak or not. I was at peace. So I went. On the eve of the event, I was told I had to speak. Over a thousand Naga leaders were there and the time has come for serious discussion. The next day, I began my speech: The time had come for Nagas to talk about where we have wronged ourselves, not blaming India and the others all the time. On three points, my uncle Phizo was wrong and his opponents who were out to eliminate his organisation were right. This was not what they expected to hear. Every one was silent. He was after all the greatest fighter we have had. I went on to add: I believe that my uncle in heaven was happy that we are dis­cussing his mistakes. There was laughter and applause. It broke the ice. For me it was a moment of courageous action. As I look back I can honestly say, that it started a process of honest conversation among my people. The wounds and the hurts that people have sustained are of great significance and cannot be ignored. We must acknowledge and pursue them so that conflicts are brought out to start the process of honest conversation. To be able to listen has been one of the greatest instruments for change in our society. The Khonoma Public Commission was able to bring about honest conversation among the clansmen and we have been able to reach a point of understanding and the restoration of trust. Forgiveness has been possible. After the removal of hurts, of forgiving and being forgiven, we are able to joke once again. And that’s how many describe the change – that old jokes have returned to our village. The killings have come down, the process and search for reconciliation is going on. Look­ing inward, the path to change is a slow but definite one. Looking outward, we are, very slowly, understanding the nature of our crisis. Us Nagas have to respond to changes, learn a lot of things to manage our society. We have to learn important processes of governance, production, organisation of our society in order to make progress. It takes time to learn but we have no choice but to learn quickly, solve our problems and move on. The mutual resentment towards one another had seriously reduced the capacity of the village to face the rapid changes the world had started to bring to us. About the future of the Nagas, I feel that we have made our position clear, right from the time of the British rule when in 1929 we told the Simon Commission that we wanted to be left alone. We celebrated our independence from the British a day before India. In 1951 we boycotted the general elections to show that we meant what we said. I believe that the people of India can un­derstand why we have fought so hard. But that understanding with the people of India has not yet started. We need to start the process of honest dialogue here too, in order to bring about a solution that is honourable, acceptable and workable.